The third edition of Inside Lawyers' Ethics offers an engaging and practical examination of the moral and ethical dilemmas that legal professionals may encounter in a rapidly changing professional environment. 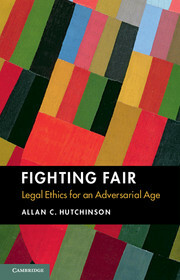 The text provides comprehensive coverage and analysis of general philosophical approaches to morality as well as the legal frameworks which govern ethical decision-making and practice. This new edition has been thoroughly updated and provides in-depth coverage of the Australian Solicitors' Conduct Rules (ASCR) to enable readers to successfully understand, analyse and apply guiding ethical frameworks. 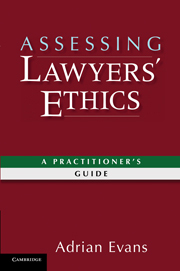 Case studies and discussion questions in each chapter provide practical examples from case law, legal practice and research to illustrate common challenges and explain how ethical and moral principles can be applied to a variety of common scenarios. Written by leading academics in the field, this essential text equips readers with the skills to enact ethical behaviours and confidently confront common ethical challenges in their everyday practice. OUR ETHICAL DILEMMAS EXAMINED IN TODAY’S SOCIETY: VERY MUCH A TWENTY-FIRST CENTURY STATEMENT ON VALUES An appreciation by Elizabeth Robson Taylor of Richmond Green Chambers and Phillip Taylor MBE, Head of Chambers and Reviews Editor, “The Barrister” The two Australian Professors, Parker and Evans, give us a most useful modern examination of moral and ethical dilemmas for the third edition of “Inside Lawyers’ Ethics” which has become a classic CUP title over a relatively short period of time. 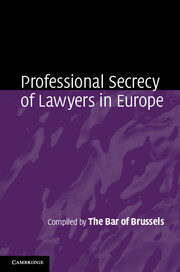 There is also a useful online resource facility to go with the book. 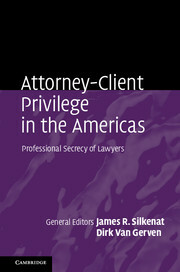 The authors offer up what they describe as “an engaging and practical examination of the moral and ethical dilemmas that legal professionals may encounter in a rapidly changing professional environment.” An examination which will be relevant to both the jurisprudent and the practitioner in our view. We are given a text which provides a comprehensive coverage and analysis of the “general philosophical approaches to morality as well as the legal frameworks which govern ethical decision-making and practice.” In other words, advice on what you might do in any given “hard case”. We remain very grateful to have this new edition for 2018 which has been thoroughly updated and provides in-depth coverage of the Australian Solicitors' Conduct Rules (ASCR) to enable readers to successfully understand, analyze and apply guiding ethical frameworks. 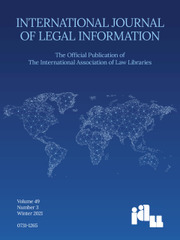 It is a most useful comparative law book even though that jurisdiction, although miles from the original home of the common law, gives us much food for thought as the world becomes a much more complete global society for the future. 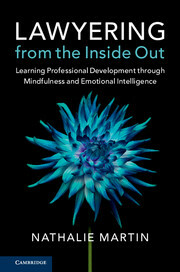 Throughout the book there are case studies and discussion questions in each chapter which are very helpful. The aim of the writers is to provide us with practical examples from case law, legal practice and research to illustrate common challenges and explain how ethical and moral principles can be applied to a variety of common scenarios. And very useful they are, too. 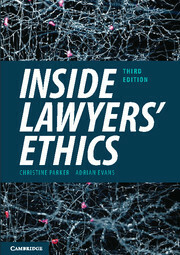 “Inside Lawyers’ Ethics” has been put together by leading academics in the field building upon the experiences and researches of the past which we can rely on. 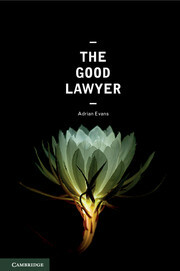 It can rightly be described as “an essential text which equips readers with the skills to enact ethical behaviours and confidently confront common ethical challenges in their everyday practice.” This book, in our view, should be in every law firm and chambers in the country. The book was published on 14th June 2018. 10. 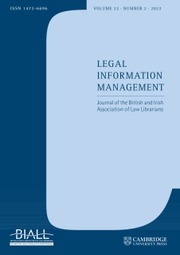 Conclusion: personal professionalism virtue, values and legal professionalism.